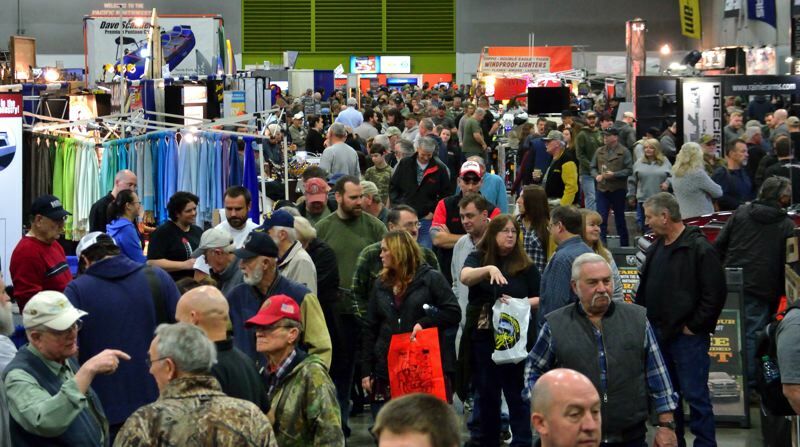 Hunters, anglers, campers and recreationalists will gather at the Expo Center Feb. 6-10 for the 44th annual Pacific Northwest Sportsmen's Show. "We've had to add space using a huge tent to house all the features and attractions of this show," says Bill O'Loughlin, president of host O'Loughlin Trade Shows. "We've squeezed 900 exhibits into 350,000 square feet of space that showcases the breadth and depth of outdoor recreation." • Trout and salmon fishing have always been highlighted, and this year it's ... walleye fishing. The praised member of the perch family populates the Columbia River and regional lakes. 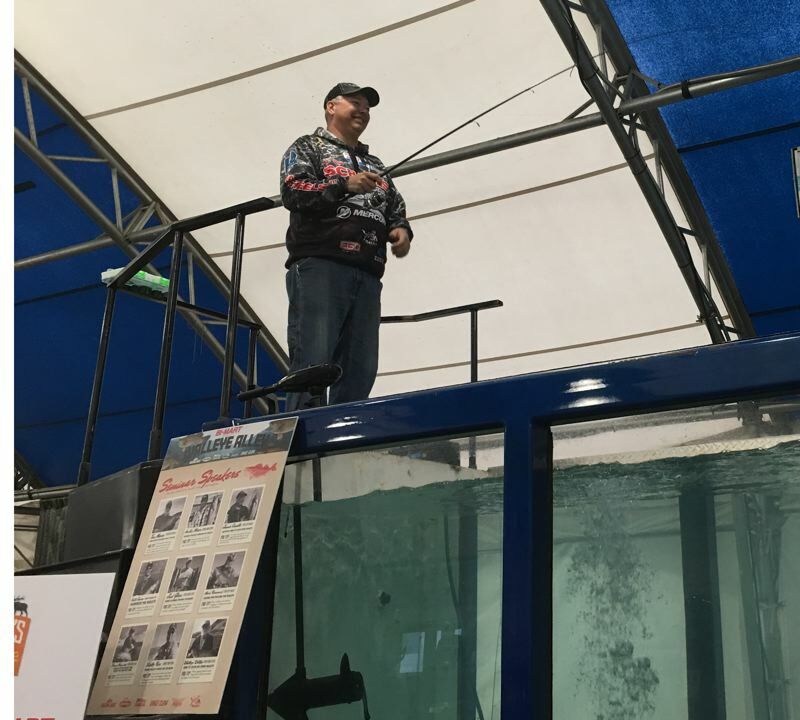 In "Walleye Alley," there'll be a tank with walleye. Expert/tournament pro Johnnie Candle will be among the speakers presenting seminars on catching the fish in wild waters. Mark Romanack, host of the TV show "Fishing 411," will also share his thoughts. "Walleye fishing has come on strong, and we thought we'd embrace that," says Trey Carksadon, show publicist. "There hasn't been a wild rush to enjoy our world-class walleye fishery, it hasn't seemed to catch on, yet." Candle, from Devil's Lake, North Dakota, has appeared at the Portland show in the past several years. He's an enthusiastic walleye expert. They're not exactly hard to catch, he says. The trick is finding them. 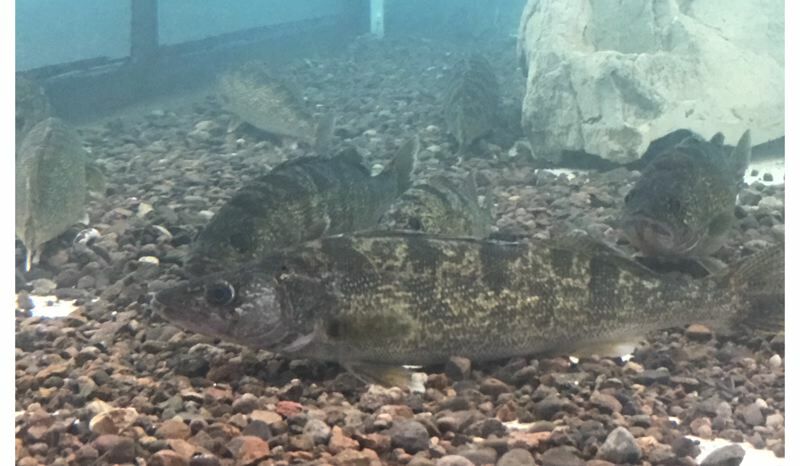 Walleye like warm water, but not too warm, and they exist in schools in shallow water and deep water, living in vegetation and over rocks and sand and in currents and lakes. "In my opinion, they're harder to find than catch," he says. "Once you locate a school of walleye, they are usually not the most difficult fish to tease into eating. Finding them can be tricky because they live in a variety of habitat." What about preparing and eating walleye? "Imagine me being a fishing guide and someone who fishes for them, they're in the frying pan or baking dish quite a bit," Candle says. "Just do Canadian-style shore lunch: Get a little bit of oil in a pan, put some commerical breading on them lightly, deep-fry them in oil. But, you can cook them a million ways. They're a delectable fish. Mild and flaky." • Hunting with rifles goes back years, but not as far back as hunting with bows and arrows. 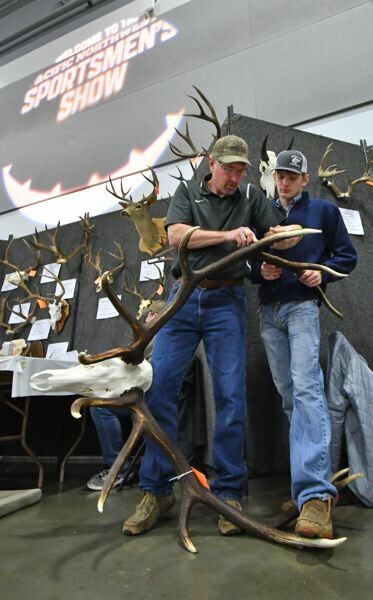 Now more young people are bow hunting, says Kody Kellom, co-owner with Trent Fisher of Born and Raised Outdoors, which will be represented at the show as part of its Backcountry Hunting Pavilion. Kellom's group emphasizes hunting elk with bow and arrow. It was formed to represent archery hunting in western Oregon. "We hunt them all over now — Roosevelt (elk) in western Oregon, and the last couple of years hunting in Wyoming, Colorado, Idaho and Montana," he says. "It definitely seems to be a trending thing." The most participatory demographic is 25- to 35-year-olds, he says. "The biggest thing is that close encounter, especially archery elk," Kellom says. "Our strategy is to call them, they're vocal. Our archery season is the last week of August and it goes through September across the western side. That's when they're rutting and active and bugling." He adds that Portland, Seattle and Salt Lake City rank as the three most active demographic consumers on YouTube, where Born and Raised Outdoors puts out many videos. • The show will feature a backyard barbecue for the first time, displaying and using a huge array of grills, refrigeration and smokers. High-level cooks will be involved, including Jill Ramseier, executive chef at Portland's Deschutes Brewery Pub, 210 N.W. 11th Ave. The backyard barbecue will feature cooking preparations and techniques involving many meats, including rabbit. Ramseier lives in Scappoose and maintains Foggy Forest Farm, where her family raises rabbits for consumption. "We have a lot of customers who order rabbit," she says. The brewery gets rabbit from Iowa, but Ramsmeier encourages people to buy local. She adds: "I don't think it tastes like chicken, but it can be cooked in place of chicken dishes. It's lean, higher in protein and lower in fat than the majority of all meats out there. It has that white meat/chicken appeal. I know wild rabbit can be gamier. ... You can prepare it several different ways; my daughter likes it fried with batter and oil. You can grill it. You can do rabbit burger, that's always a hit at the pub. And in today's fast-paced environment, it's a breeze in the Instapot." Rabbit also goes well with sauces, including chimichurri and mustard cream sauce. "I will provide some beer sauces at the event," Ramseier says. • Other happenings: There'll be a new BB gun range for kids; Leupold's Hang Out For Conservation, literally a hanging-from-a-pull-up bar competition which benefits the Rocky Mountain Elk Foundation; Baxter's Kid's Trout Pond; Head & Horns Competition; Brett Stoffel's Outdoor Survival classes; Garmin Tech Center; and Englund Marine's Bait Rigging Theater. Hours for the show are 11 a.m.-8 p.m. Wednesday-Friday, Feb. 6-8, 10 a.m.-8 p.m. Saturday, Feb. 9 and 10 a.m.-6 p.m. Sunday, Feb. 10 at the Expo Center, 2060 N. Marine Dr.
General admission is $15. It's $24 for a two-day pass. There are discounts available. Parking is $10. For complete information, visit www.TheSportShows.com.